Atami (熱海) is Onsen City located in Izu peninsula, Shizuoka. Because there is the Shinkansen Station, it is very good access from Tokyo. It takes only 40 min. from Tokyo. There are many onsen hotels, restaurants which serve great sea food such as Sushi and Sashimi, and gift shop. Also, another great feature of Atami is Baien, a garden with Japanese Plum. During the winter, from January to March, there are beautiful Plum flowers are blooming. Bairin is free, and it has free foot onsen. Because it is conveniently located from Tokyo, many people visit here for Onsen. There are many Onsen and Onsen Hotels. Atami is located on the oceanside, so there are many fresh sea products and food, especially, Sashimi and Sushi. In summer, Nagahama Beach which is the beach of Atami, has fireworks. Popular travel spot for summer. In the winter, Ume, Japanese Plum, at Atami Baien bloom. This is the first arrival spots for Ume blooming in Japan. There are over 450 Ume and the season covers from the beginning of January to beginning of March. 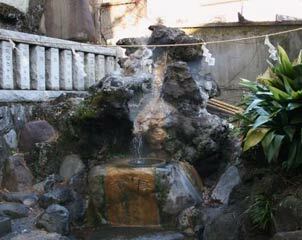 You can find many Onsen Springs in Atami.